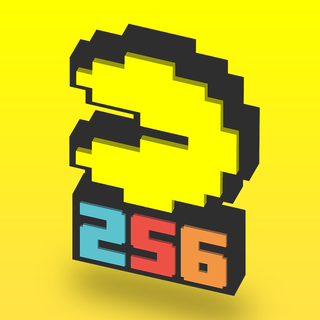 There have been a lot of Pac-Man games, and Bandai Namco Entertainment Europe, the company behind Crossy Road, has just released a new one called Pac Man 256. Long time gamers will recognize the title refers to the infamous glitch in the old Pac-Man game that made it impossible to finish. Since this is an endless maze, it’s an apt one, but it’s still addictive. The game takes place on the classic 256 level and the objective remains the same: get the highest score possible without being eaten by the Ghosts that are scattered across the board. As you tap and swipe your way across the screen, eat as many of the pellets as possible to push up your score. If you eat 256 pellets in a row while keeping the sequence intact, all the Ghosts on the board will be eliminated and the counter reset to 0. Aside from the pellets you can also take advantage of the power ups: 16 types are available and you’ll unlock them by eating a specific number of pellets. The longer you play the game and advance, the more of these pellets become available. One of the coolest power ups is the Fire, which allows Pac-man to produce flames in his trail, while the Magnet absorbs every collectible near it, so it’s the quickest way to get a multiplier for the pellets. The classic Power Pellet is here also and with it Pac-Man gains temporary invincibility and the ability to eat Ghosts. Yes, there are IAPs in Pac-Man 256 but they’re not necessary to collect pellets, so the bottom line is: this is one of the coolest Pac-man games out there.